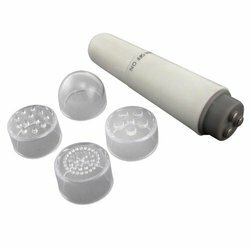 The Mini-Mite Massager is durable, portable and gives a surprisingly strong and concentrated massage. Its small size permits you to pin point the problem area. Then, using the tip of the vibe or selecting from one of three included attachments, you can proceed with sending a precise and pleasantly powerful vibration to areas that other more bulky massagers could not.